local & regional residential home sales. Serving the communities of Sierra Madre, Monrovia, Pasadena, Arcadia, San Marino, Bradbury, Temple City and all the surrounding areas of the San Gabriel Valley, Los Angeles County California. 3833 Evans St. "Los Feliz" LA. 2409 Ridgeview, Eagle Rock LA. Over $150,000,000 in closed sales. 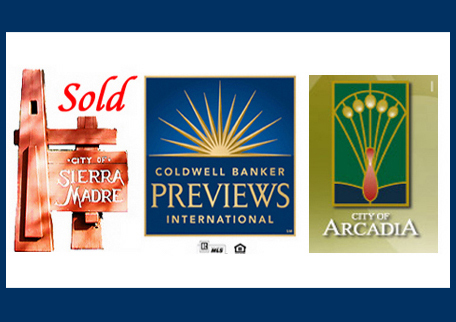 Coldwell Banker's #1 selling Sierra Madre Real Estate Team. International President's Circle Top 2% (in sales) of all Coldwell Banker real estate agents nationwide. Mike & Michelle are long time Sierra Madre residents serving all the foothill communities of Sierra Madre, Arcadia, Monrovia, San Marino, Pasadena, Temple City and the surrounding communities. 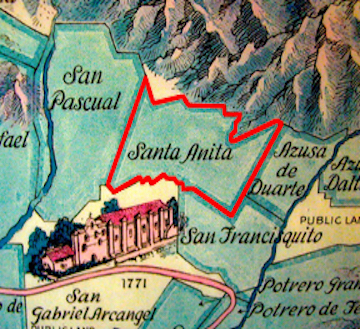 Our Coldwell Banker Arcadia/Sierra Madre Area Regional Office Is conveniently located at 15 East Foothill Blvd. Arcadia, one 1/4 block east of Santa Anita Ave.
Coldwell Banker "International Diamond Society"
Coldwell Banker "International President's Circle"
Pasadena Magazine "Top 200 Realtors list"
Named: "Los Angeles Super Agent" by Los Angeles magazine..
Mike has completed 20 years as a full time real estate agent with Coldwell Banker Residential Brokerage. As a Top Production Sales Agent since his first year with the company he has received, Outstanding Performance & Distinguished Achievement Awards year after year. Mike Paris started his career in real estate in 1999 and was promoted to Senior Residential Sales Agent at Coldwell Banker in 2005. In 2013 he became a Coldwell Banker "Previews International" luxury home sales specialist. By 2017 Mike had sold over $150,000,000 in local residential real estate. Mike was raised with strong American values and work ethics from high achieving parents. Mike's parents were both honor students at CAL Berkeley, with his father completing graduate work at Harvard and MIT. Mike lives with his wife Michelle (Mike's full-time real estate team partner) and his 18 year old son in the Village of Sierra Madre. Before entering the real estate profession in 1999 he spent over 20 years in the motion picture and television industry, the last of those years as a full-time employee of Eastman Kodak's “Professional Motion Picture Imaging Division”. In choosing a real estate agent, you should know the ethics, experience and credentials that the agent has to offer. Mike will be honored to provide you with over 50 letters of recommendation & introduction from his real estate clients. Coldwell Banker Foothill Regional Office is the #1 listing and sales office serving the foothill areas of Sierra Madre, Arcadia, Pasadena, Monrovia, Temple City, El Monte and all the surrounding communities in the San Gabriel Valley. Coldwell Banker is ranked as having the “Highest Overall Satisfaction For Home Sellers Among National Full Service Real Estate Firms” by J.D. Power and Associates in their Home Buyer/Seller Study.